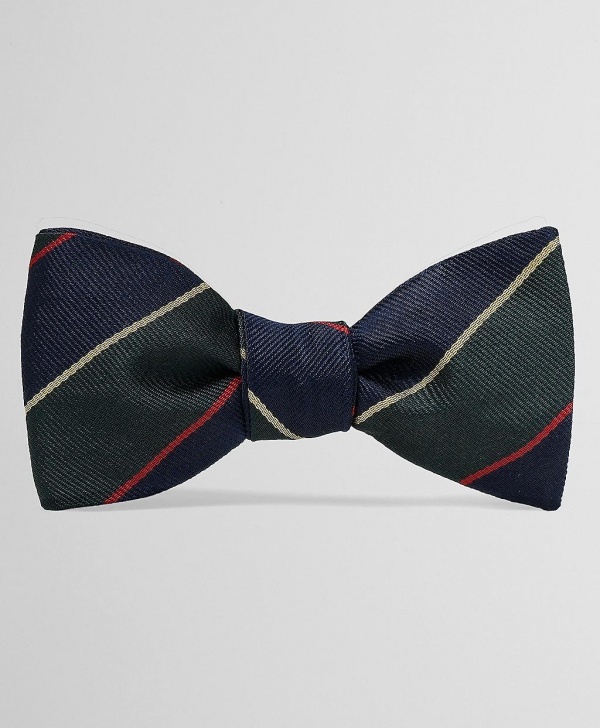 Elevate your look during the Christmas party circuit with this Argyle Sutherland bow tie from Brooks Brothers. 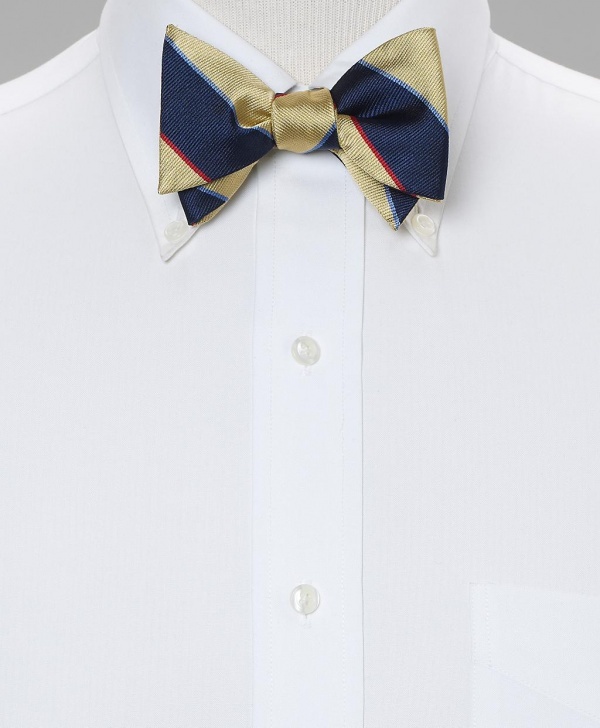 This fine striped, pure silk tie is an injection of color and spirit into any outfit. 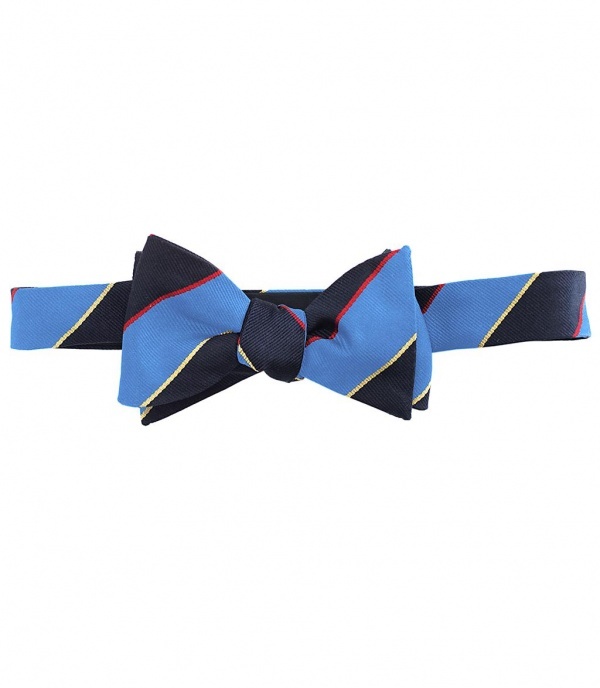 Available in four wonderful striped colorways, find it online now. 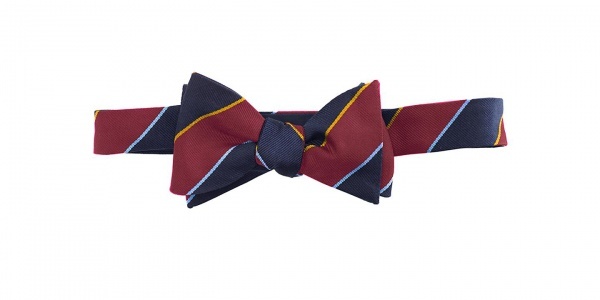 This entry was posted in Accessories, Ties and tagged Argyle Sutherland, Brooks Brothers, Tie. Bookmark the permalink.